Shi Yan bothered Mo Duanhun the entire way. From his words, Shi Yan got a lot of information about the situation in the Kyara Sea. 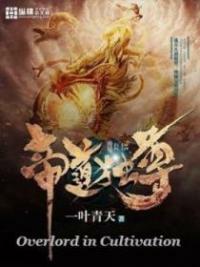 The Wind Thunder Lion that He Qingman rode, flew ahead of them during the entire journey. It was not too fast nor too slow, keeping a distance from the Cyan Blood Bats. Time flew by, and after half a month, the Cyan Blood Bats officially stepped into the Kyara Sea. Six days later, they finally arrived at Fire Cloud Island. Just when the Cyan Blood Bats entered into the sky above Fire Cloud Island, a fiery ambience appeared in the air. This island’s area was similar to that of Menluo Island. There were many volcanos on the island, and the temperature was very high. But, this island was rich in resources; it had many extraordinary minerals and some precious medicinal ingredients that liked high heat. The natural spirit energies on the island was also much denser than Clouds Island. Therefore, on Fire Cloud Island, there were many cultivating warriors that were separated into some warrior forces. However, the warrior forces here compared to the Yang family, the Evil Wonderland, and the Xia family, were much weaker. The strongest of the warrior forces was the He family. He Luo was the master of Fire Cloud Island, and also the person with the most authority on Fire Cloud Island. The many warrior forces on the island could all agree to that. Other than that, the He family certainly had outstanding capabilities. Another reason, was that the He family was already a part of the Evil Wonderland. The islands in this area were all under the influence of the Evil Wonderland. The He family was like a branch of the Evil Wonderland and had made a talented genius like He Qingman for the Evil Wonderland. There was no way that the He family wouldn’t flourish. Under the blazing sun, the Fire Cloud Island was like a giant steamer. Heat waves rolled on endlessly, and even the dirt on the island seemed to contain fire energies. When they arrived above Fire Cloud Island, Shi Yan finally knew why He Qingman dressed so lightly. The temperature here was so high; if she were to wear more, she would’ve probably been covered in sweat. He Qingman stood on the body of the Wind Thunder Lion while her speed slowed down a little; it seemed like she was waiting for something. Soon, the Cyan Blood Bat that carried Shi Yan slowly moved closer to the Wind Thunder Lion. The Cyan Blood Bat was the symbol of the Yang family’s Shura Blood Guards. When the Cyan Blood Bat arrived at Fire Cloud Island, it had to have startled many warrior forces on the island. If the Cyan Blood Bats went to the He family, then the Shura King Mo Duanhun would be able to stay a night in the He family. To them, that would be a huge honor. If the warrior forces on the island were to know that Mo Duanhun was residing in the He family, they would definitely respect and fear the He family more. The Yang family’s status in the Kyara Sea was equal to the He family’s status on Fire Cloud Island. As the leader of the three Shura Kings, if Mo Duanhun were to go to the He family, that would greatly raise the status of the He family; it would make the warrior forces on the island respect the He family more. He Manqing knew this, which was why she would put out the invite; she wouldn’t give up this opportunity to raise the He family’s authoritative power just because she hated Shi Yan. Mo Duanhun’s expression was stiff as he sat on the Cyan Blood Bat, not immediately answering. Instead he looked towards Shi Yan. The He Family’s head, He Luo, was only in the Nirvana realm; although he claimed power on Fire Cloud Island, in Mo Duanhun’s eyes, he was just a insignificant character. In the families that Mo Duanhun killed in the Endless Sea, many were much stronger than the He family, but they were all easily slaughtered by him. He came this time just for Shi Yan. Through Shi Yan’s talent and secrets, he realized that Shi Yan would become an important figure in the Yang family in the future, causing him to look at Shi Yan. He Qingman saw that Mo Duanhun looked towards Shi Yan, causing her eyes to suddenly turn cold. She snorted in her mind, thinking that her plans were about to come to nothing. He Qingman dazed for a second, and then finally turned around, riding the Wind Thunder Lion towards the center of Fire Cloud Island. On the top of the Cyan Blood Bat, Shi Yan looked down and realized that Fire Cloud Island was really quite similar to Menluo Island; There were many volcanoes on the island as well as plants that only grew in tropical regions. The Cyan Blood Bats flew across the heat waves. Half an hour later, it appeared in the middle of Fire Cloud Island, and then slowly descended. This was a manor with hundreds of pavilions. Inside the manor, there were flowing streams and little bridges. Shrubs and plants were scattered around, and the pavilions here were all made of wood. They weren’t too big or tall, and they gave a elegant and poetic feel. The Cyan Blood Bats hadn’t landed yet, but a line of warriors already walked out with stunned expressions. They each stood in a giant training field and looked up into the sky. When the Cyan Blood Bats landed, He Luo, who was in the lead, was even more surprised. He stood there at a loss of words. He Luo’s body was thin; he had wisps of long beard at his chin. He was outstandingly handsome and with a graceful demeanor, had the special charm of a mature man. Next to him, other than some strong warriors from the He family, there were some leaders of the warrior forces on Fire Cloud Island. Originally, they gathered here today to discuss business. Suddenly, they saw that there were Cyan Blood Bats flying through the sky above causing these people to panic. They didn’t know why the Shura Blood Guards would appear on Fire Cloud Island, and hurriedly came out together to watch. The names of the Three Shura Kings of the Yang family were renowned in the Endless Sea. This was the first time for He Luo who lived in the Kyara Sea, to meet Mo Duanhun. He was pleasantly surprised and nervous at the same time, so he greeted with great gestures. Mo Duanhun frowned; he didn’t say anything, and only slightly nodded. He Luo didn’t think for a bit that Mo Duanhun was roistering. With Mo Duanhun’s status, just nodding to him was giving him enough regards. Indeed, on the faces of the other family leaders of Fire Cloud Island that stood next to him, He Luo saw some signs of envy. “Master Mo, I’ll go change my clothes and groom myself. 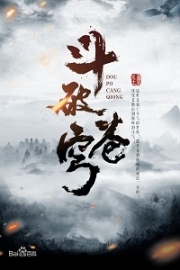 Excuse me.” He Qingman slightly bowed towards Mo Duanhun, and then left with the Wind Thunder Lion. In the blink of an eye, she was gone without a trace. “Master Mo, this way please.” He Luo personally went in front, and then tried to lead the way for Mo Duanhun; his att.i.tude was extremely friendly. Mo Duanhun slightly frowned, and then turned his head to look towards Shi Yan. Shi Yan smiled casually, and then lightly nodded. He Luo and the many leaders on Fire Cloud Island were all extremely sensitive people. Their eyes all suddenly brightened, and couldn’t help but look at Shi Yan; their hearts were filled with surprise. Although Mo Duanhun’s movements were small, these people still saw it. As the leader of the three Shura Kings, Mo Duanhun actually personally consulted for this young man’s opinion. Who is this guy? He Luo had the cultivation level of the second sky of Nirvana realm. The few people next to him were also each dressed in luxurious clothing, most having the cultivation in the Nirvana realm also. Just by standing there they showed this prestige, having a sharp presence on them. They were obviously figures who often gave out commands. These people, when treating Mo Duanhun, all flattered to please him. It was as if Mo Duanhun nodding to them was the most honor there would ever be. Through these small details, it wasn’t hard for Shi Yan to imagine exactly how distinguished the Yang family was, in the Kyara Sea. “Shi Yan.” Mo Duanhun answered indifferently, not bothering to explain. He Luo and the rest were all obviously dazed; their eyes filled with surprise. He Luo and the rest, although they never met the young talents of the Yang family, they had heard of their names. They knew which were the strong figures of the Yang family’s younger generation. But they had never heard of the name Shi Yan.. Shi Yan’s last name was Shi... could it be that he wasn’t a Yang family member? If he wasn’t a Yang family member, then why would Mo Duanhun consult his opinion? A boy who wasn’t even a Yang family member, for what reason did Mo Duanhun care about him so much? He Luo and the rest were inexplicably perplexed. They were all filled with confusion, but they didn’t dare to neglect him. “Master, the Cyan Blood Bats should be fed now.” At this moment, a Shura Blood Guard suddenly called out quietly. From behind the He family, there came sounds of beasts screaming. Soon, all kinds of fierce wild beasts were led out by He family members from behind, towards the training field. These lions, tigers, wolves, and leopards were all quite large and extremely fierce. But in front of the Cyan Blood Bats, they were all shivering, seemingly very frightened. “Take them somewhere else to be fed. Let’s not make their place too b.l.o.o.d.y.” Shi Yan smiled, and then said to the Shura Blood Guards. These people immediately nodded, and each warned their own mounts. The Cyan Blood Bats all suddenly flew up and directly grabbed up the wild beasts here, flying towards the distance. Under the Cyan Blood Bats, these wild beasts actually didn’t fight back. They were all obediently brought up into the sky, and soon disappeared without a trace. Soon enough, there came roars and screams of dying beasts from the distance. “Master Mo, little brother Shi Yan, please come in.” He Luo kept on his face full of smiles as he said while bowing. Shi Yan’s expression remained unchanged; he followed He Luo with Mo Duanhun while walking towards the back of the He family’s manor. You're Read God Of Slaughter c177 online at NovelOnlineFull.com. You can use the follow function to bookmark your favorite novel ( Only for registered users ). If you find any errors ( can't read,broken links, can't load photos, etc.. ), Please let us know so we can fix it as soon as possible. And when you start a conversation or debate about a certain topic with other people, please do not offend them just because you don't like their opinions. You're reading God Of Slaughter. This manga has been translated by Updating. Author(s): Ni Cang Tian,逆蒼天. Already has 7297 views. Current Time is 23-Apr-2019 10:16:28 AM.